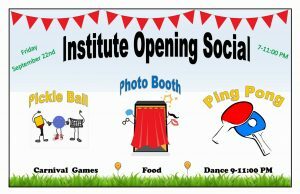 The Institute Opening Social will be Friday, September 22, 2017 from 7:00 pm to 11:00 pm. 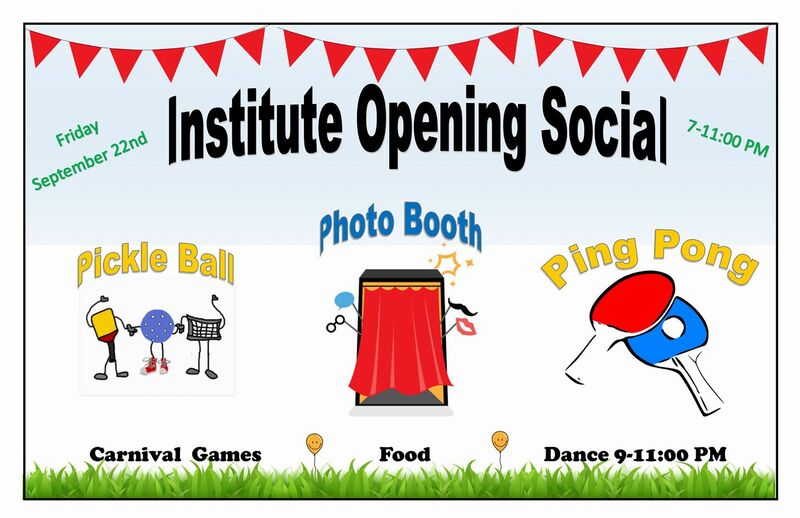 There will be pickle ball, a photo booth, ping pong, carnival games, food and a dance. All young adults ages 18-29 are invited.